Professor Dr. Hans G. Kippenberg is a well-known lecturer to the following topics. Please do not hesitate to contact Mr. Kippenberg, if you are interested in learning more. If participation in church activities is critical for the strength or weakness of religion, there is no denying that Europe comes off poorly. The rise of religious pluralism in the U.S. was due to the strict separation between state and church; it compelled congregations and denominations to compete for believers. The European case is different. Here the diversity of religions existed long before the modern period. Since its ancient beginning European culture sought its authorities outside its geographical confines. Greeks and Jews, Hellenism and Hebraism, Athens and Jerusalem, later Mecca and Islam became cultural points of orientation for people living in Europe. The lecture addresses the cultural and social processes that transformed these and other foreign religions into typical European manifestations.Those processes are at the center of the European plurality and diversity of religions. 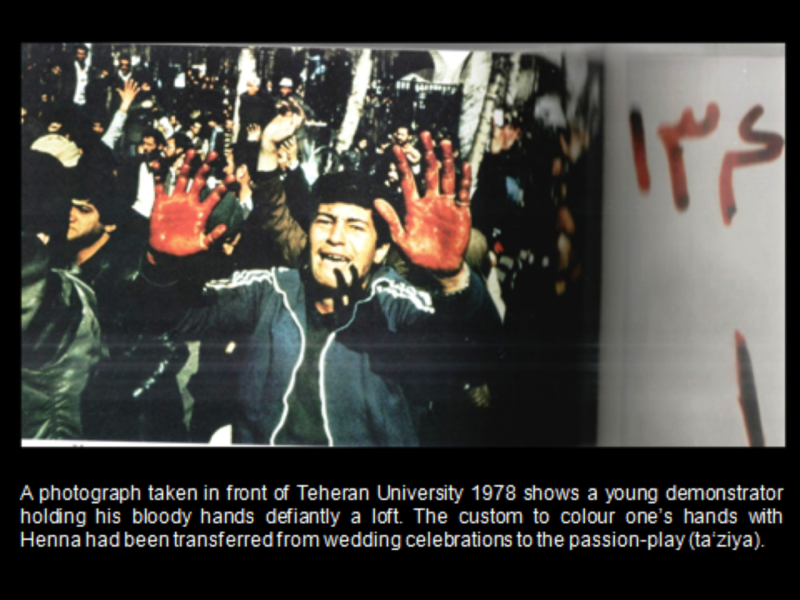 When in Iran in 1979 the Islamic Republic was proclaimed, journalists and policy-makers had tremendous difficulties to grasp what happened. Modernization was since long expected to bring secularization, didn’t it? A member of the White House’s staff later wrote: ‚The notion of a popular revolution leading to the establishment of a theocratic state seemed so unlikely as to be absurd‘. A similar assumption was common among scholars. They likewise were convinced, that religions in the modern world were withdrawing from the public arena and retreating into the private realm. But there has been a time in which divergent views prevailed. We only have to take our seats amidst the participants of the first meeting of German sociologists in Frankfurt in 1910. 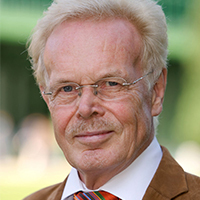 Ernst Troeltsch has just defended in a lecture his thesis that only the church could establish Christianity as a truly popular religion, not the sects, when Max Weber took the floor and advanced an opposing view. The case of the United States points to an opposite conclusion, he argued. The United States are ,the most religious country‘. But here ‚Christianity has adopted mainly the form of sects‘. ‚In particular due to this fact, that the religious type in fact is the type of the sect, religion has become so popular‘. Since the middle of the 19th century European scholars of various disciplines directed their attention to recently deciphered texts, to the evidence of prehistory and to ethnographical reports. They used them to acquire insight into the religious history of humankind. Religions rejected as irrational by Enlightenment philosophers were now studied in order to delineate the limits of reason in developing modern civilization. According to Friedrich Max Müller a comparison of languages revealed an old Indo-European mystical attitude to nature, distinct from the rational Jewish and Christian one. Edward Burnett Tylor explained the concept of the soul as a survival from primitive culture. According to William Robertson Smith the social cohesion of a group could only be achieved by a religious ritual. James George Frazer interpreted modern European civilization as merely a thin veneer covering a menacing realm of magic. According to Erwin Rohde and Jane Ellen Harrison, ecstatic practices flourished beneath the classical surface of Greek religion. Ernst Troeltsch detected a trend to world-rejection in the development of religions. Looking the wrong way through the telescope, it is apparant that these scholars reflected concerns of their own time. The writings of the scholars of religions do not only reflected issues of modernization, but turned that reflection into an explicit theory of modern culture. They saw the modern world as still dependant on religions. According to Weber the institutions of economy, state, law, art and science are not self-evident phenomena; they are shaped by people acting according certain principles – religious ones included. Weber for the first time made this observation in regard to economy. The rising capitalist economy needs a certain ethos of the actor, that is able to bring down its opponent: traditionalism. “A person does not ‘by nature’ want to make more and more money, but simply to live — to live in the manner in which he is accustomed to live, and to earn as much as is necessary for this” (2002 [1904/5], 16]). This resistance was broken by Puritanism. It required from the believers a methodical pattern of working and an ascetic abstention from benefits it yields. It was this new subjective ethos of the actors that generated and shaped the capitalist type of economy, producing for an anonymous market. In order to place this case in relation to the whole of human cultural development, Weber started studying religious communities. He first clarified the category of social action and introduced a crucial distinction. An action is instrumentally correct when relating to external natural laws; but it may be also called rational when it is based on an intelligible subjective meaning that consistently informs the practical attitudes of actors to the world. “Disenchantment” does not only denote a denial of any inherent meaning, but is a process generating world views and ethics that are able to cope with the experience of a world devoid of meaning. Religious communities revolve shamans/magicians, priests, ascetics, mystagogues, prophets, intellectuals and stick to practices that are appropriate to assure salvation: ecstatic states, magical rites, sacrifices, saints’ worship, mysticism, and ethical conduct.Weber focuses on one particular path of development: disenchantment. Symmetrical constructions at the beginning and at the end of his sketch on religious communities elucidate that path. In the beginning “only the things or events that actually exist or take place played a role in life”. This changed with veneration of the magician. “Now certain experiences, of a different order in that they only signify something, also play a role. Thus magic is transformed from a direct manipulation of forces into a symbolic activity” (Economy and Society 1978, 403). At the end Weber reviews the stages of the path. “Intellectualism suppresses belief in magic, the world’s processes become disenchanted, lose their magical significance, and henceforth simply ‘are’ and ‘happen’ but no longer signify anything. As a consequence, there is a growing demand that the world and the total pattern of life be subject to an order that is significant and meaningful” (Economy and Society1978, 506). Various kinds of subjective religiosity emerge. Weber expanded his argument in the so called “Zwischenbetrachtung” (Intermediate Reflection) (Gerth/Mills 1946, 323-359). Religious congregations requiring brotherly love as ethics of commitment generate tensions with respect to the spheres of economics, politics, sexuality, science and art. 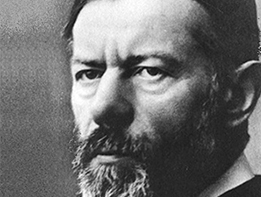 “Disenchantment” was, for Max Weber, not the rise of a godless culture. An increasingly rational culture, aware of the unethical character of the dominant social orders, stimulates the emergence of a variety of new forms of subjective religiosity. Weber’s exposition abounds in examples of this process. Regarding the sphere of politics, congregational religiosity did not merely oppose military violence; it favored either a world-fleeing pacifism or on the opposite measures to fight the power of sin. Regarding the spheres of sexuality and art, he noticed a rise of practices that entailed a re-enchantment of life: eroticism and art as means to escape the cold rationality of the modern world. In the ‘disenchanted’ world, the gods acquire a peculiar new life, as Weber declared in his speech “Politics as Vocation” (1919): “Today the routines of everyday life challenge religion. Many old gods ascend from their graves; they are disenchanted and hence take the form of impersonal forces. They strive to gain power over our lives and again they resume their eternal struggle with one another” (Gerth/Mills 1946, 149). It was often assumed that Prophecy Belief has ceased in the modern age. 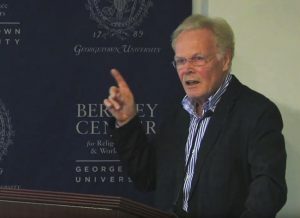 The well-known English historian Peter Burke (born 1937) drew in 1978 the border between the Middle Ages and modern times along the belief in prophecies. “From the end of the seventeenth century, there are signs of a declining interest in prophecy, of a greater willingness to scoff“ (Popular Culture in Early Modern Europe. New York: Harper 1978, 274). Surprisingly enough the very same year saw an in Iran an uprising against the secularizing politics of the Shah and a belief in an upcoming Islamic order. At that time this happened unexpectedly. Today the possibility of an occurrence of such movements in all religions is generally acknowledged. My talk sketches the history of this belief starting in the 19th century focusing especially on the belief, that only after all Biblical predictions have been fulfilled, the restitution of Israel in the Biblical land in Palestine included, the second coming of Jesus will happen. 1. Thessalonians 4, 16-17 predicts: ‘Then the Lord will descend from heaven, the dead will rise first, then we, who are alive will be caught up in the clouds and meet the Lord in the air’. 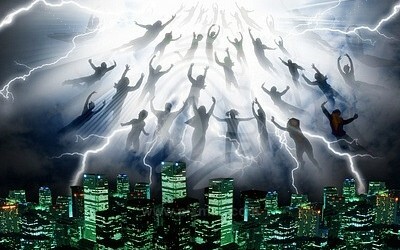 This ‘premillenarian’ scenario with its idea of a rapture – as it is called – became popular in the US and can be found in novels, movies, and web pages. 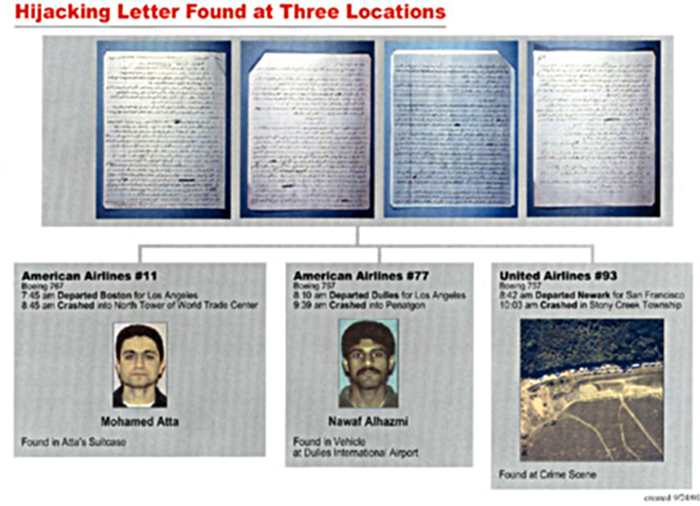 An Instruction consisting of four sheets in Arabic was found with three of the four teams that performed the attacks on 11 September 2001. The writing conceived of the action as a raid (ghazwa), as we know it from early Islamic history. In the Night before the “brethren” should renew their intent. Purifying their intentions by recitals, rituals and bodily cleaning they turn their attack into an act of worship. A part called “second stage” anticipates the issue of assuring divine protection at the Airport. Finally “A third stage” urges the teams to act in the plane according the practice of the Prophet and to achieve martyrdom. The attack happened in the wake of a Declaration of War by the “World Islamic Front for the Jihad against Jews and Crusaders” in 1998, signed by Usama bin Laden and leaders of other jihadist groups. 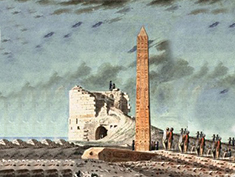 It accused the US of occupying the sacred places on the Arabian Peninsula, of stealing its natural resources, of inflicting damage on the Iraqi people by means of the embargo, and of weakening the Near-East States in favor of Israel.These political acts are regarded as part of a war against God. It is the duty of every Muslim to kill the Americans and their Allies. 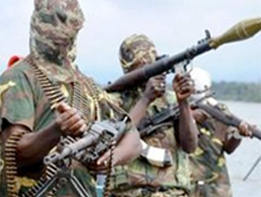 The manual frames the political conflict in terms of an imminent threat to the Islamic order. 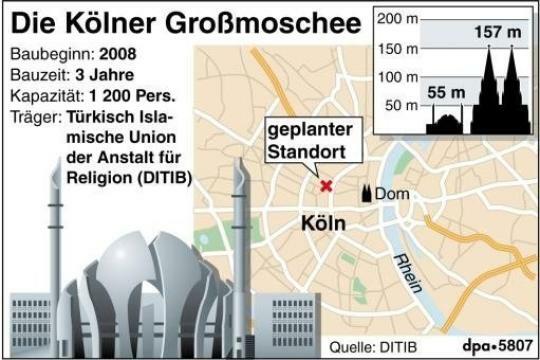 The attackers re-enact a crucial moment in early Islamic history when Muhammad cancelled contracts with non-Muslims and organized raids (ghazwa) in order to establish Islam as a political order. The War of the Trench in AD 627 was the model. The political conflict is defined in religious terms. Following Israel’s military victory in the 1967 Six Days’ War, the UN Security Council confirmed in Resolution 242 that it is impermissible to acquire territories through war. The US saw it likewise, also the PLO, in the beginning Israel too. The 1970s saw a new development. 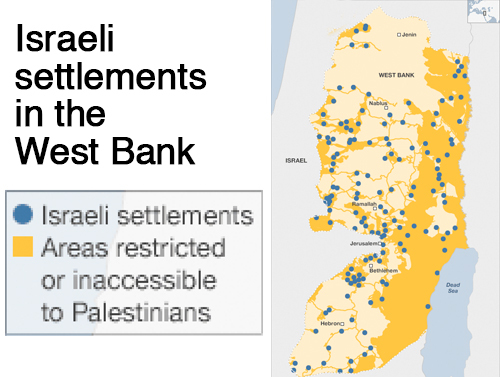 Religious Zionists began to resettle those areas once part of the biblical land of Israel. When the Likud party then took power in 1977, it aligned itself with the settlers’ movement. The politics of the USA too changed. In 1981, the newly elected President, Ronald Reagan, acknowledged Israel’s legitimate claims to these territories and abandoned its neutrality towards Israel’s religious pretensions, supported by American fundamentalism. When, after twenty years of martial law, the Palestinians rose up against Israel in the Intifada of 1987, the secular liberation movement of the PLO acquired an active religious competitor called Hamas, established by the Muslim Brothers. Just as religious Zionists claimed the occupied territories as the land of Israel, the Islamists demanded a whole Palestine as waqf (foundational land), handed down to later generations until the day of resurrection by the Prophet. A conflict between states has become a conflict between religious communities, generating a religious language of the conflict and new forms of violence.